NEW HYUNDAI IX35 LOAD COVER PARCEL SHELF BLIND IN BLACK 2009-2015 FAST POST! New listingGENUINE AUDI A6 C5 4B Allroad Estate Load Cover. Parcel Shelf 1998-2004 Grey. PEUGEOT PARTNERS. HERE WE HAVE A GENUINE DEALER PART PARCEL SHELF IN BLACK LOAD COVER THAT FITS ALL. FROM 2011 ONWARDS. AFTER MARKET BUT GREAT QUALITY, FITS THE CAR LIKE ORIGINAL, YOU WILL NOT BE DISAPPOINTED. Nice used parcel shelf from a clean 2011 NISSAN QASHQAI 2 5-DOOR. NISSAN QASHQAI 2"5-DOOR (2007-2013 MODEL). Will be dispatched fully valeted, This is not the usual rubbish found on the floor of a scrap yard. PARCEL SHELF / LOAD LUGGAGE COVER / BLIND. JEEP GRAND CHEROKEE. FITS IN THE BACK AND COVERS THE BOOT. FIXING BOLTS. 100% GENUINE AUDI PRODUCT. PARCEL SHELF LOAD COVER. This is a genuine AUDI part. SIDE CLIP - FOR O/S RIGHT SIDE. NOW FOR THE BORING BIT. New Genuine Audi A5 2008 - 2016 parcel shelf repair kit. As per picture this kit includes everything you need to repair the lugs on the rear parcel shelf in A5 sportback and coupe models from 2008 - 2016. TOYOTA RAV4. PARCEL SHELF / LOAD LUGGAGE COVER / BLIND. FITS IN THE BACK AND COVERS THE BOOT. 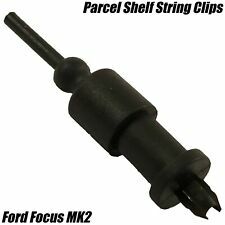 Ford Fiesta, Focus, C-MAX Parcel Shelf Clip. Genuine Nissan Part. Ford Fiesta (including ST), Focus, C-MAX. This item fits;. 5 Door Parcel Shelf. Ford C Max. PART NUMBERS MUST MATCH UP. All parts are used and may show signs of wear but are all in working order. In working order. Vauxhall Corsa D 3 Door Rear parcel shelf. Excellent condition fits all 3 Door models 2007-2015. TT 2007-2014 [8J]. TT Rs 2010-2014 [8J]. The C-Pillar will require removal to install these brackets. Genuine Audi Parts. for Coupe models in Soul Black. Vehicle: Audi. Audi Part Number. 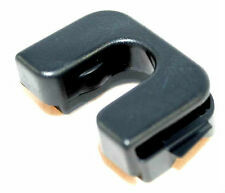 1 x clip which fits on either side of the parcel shelf and it enable the shelf to clip to the vehicle. Made by Nissan but suitable for Ford models. 015532109E x1. Ford Fiesta (2008, 2009, 2010, 2011, 2012). Nissan Qashqai (2007, 2008, 2009, 2010, 2011, 2012, 2013). Ford Focus (2011, 2012, 2013, 2014). Ford C-Max (2007, 2008, 2009, 2010, 2011, 2012, 2013, 2014). 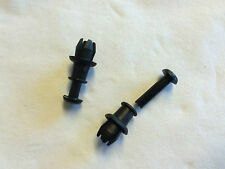 New Genuine Audi TT parcel shelf repair kit. 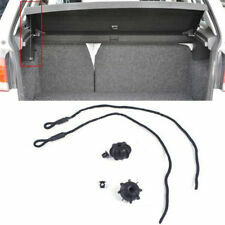 Includes supporting brackets and fixing screws for both sides of the parcel shelf. Fits Audi TT/TTRS from 2010-2014. Genuine Vauxhall Insignia A Estate Tourer. Rear Parcel Shelf Cover. (Small Rear Piece). Nissan Part No. 79916JD00A. Suitable For Nissan Qashqai. (Square Center Pin Needs To Be Pushed In To Secure Clip In Position). Nice used parcel shelf from a clean 2011 Vauxhall Corsa "D" 3-DOOR. VAUXHALL CORSA "D"3-DOOR (2007-2013 MODEL). Will be dispatched fully valeted, This is not the usual rubbish found on the floor of a scrap yard. Ford Mondeo MK3 02-10-2000 To: 19-03-2007. We provide a range of genuine and universal products. Ford Parts and Accessories. Engine Oil and Fluids. Interior Accessories. Winter Essentials. Kia Parts & Accessories. Genuine Part 24466024. Vauxhall Parcel Shelf Bracket. Astra 2005-2009. PARCEL SHELF / LOAD LUGGAGE COVER / BLIND. FITS IN THE BACK AND COVERS THE BOOT. Genuine Vauxhall. Estate / Sports Tourer. Insignia A (09-17). Parcel Shelf Cover Insert. This will fit the following vehicles:-. REAR PARCEL SHELF. FORD FOCUS. Provides a complete range of auto parts and accessories. as you may require it in the event of a claim with your carrier. Nice used retractable parcel shelf from a very clean 2008 Land Rover RANGE ROVER SPORT. LAND ROVER RANGE ROVER SPORT (2005-2012 MODEL) 5-DOOR. Will be dispatched fully valeted, This is not the usual rubbish found on the floor of a scrap yard. Part Number - 13499443. Vauxhall Insignia A Estate Tourer 2009-2017. 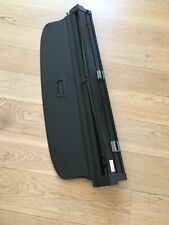 New Genuine Vauxhall Rear Parcel Shelf Load Cover Tailgate Trim. Small Section That Fits On The Tailgate. We're rated 5/5 for service! VAUXHALL CORSA D. 100% Genuine Vauxhall Parts. CORSA D 2007-2014 5 DOOR ONLY. 5 DOOR PARCEL SHELF/LOAD SPACE COVER. PART NUMBER 13233539. 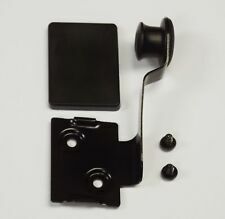 Citroen C3 & DS3 8795EN Rear Parcel Shelf Clip Bracket Fastening. 1 x clip which fits on either side of the parcel shelf and it enable the shelf to clip to the vehicle. Citroen Parts & Accessories. We provide a range of genuine and universal products. VOLVO XC90. PARCEL SHELF / LOAD COVER. Fits in the back and rolls out to cover the boot. C2 C3 I/II C3 (A51) C4 Cactus DS3 XM I/II Xsara Picasso. Suitable For Citroen. 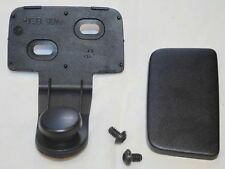 2003 MK3 Nissan Micra K12 PARCEL SHELF Tray Boot Cover This will fit a 3 and 5 door. Colour - Grey. OE Factor Number - 79910AX101. There are some small age related marks (see images) Please make sure part is correct before purchasing. We try to describe our parts as honestly as we can, however please also see our images in case we have missed anything. Any questions please ask. International buyers please contact us for price and availability of postage to your location. Removed from below vehicle -. TOYOTA RAV4. PARCEL SHELF / LOAD COVER. Fits in the back and rolls out to cover the boot. IN BLACK ! Ref number 015532109E. 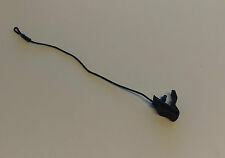 1 x clip which fits on either side of the parcel shelf and it enable the shelf to clip to the vehicle. We are a main dealer for our franchised vehicles. Nice used retractable parcel shelf from a very clean 2010 Land Rover Freelander 2. LAND ROVER FREELANDER 2 (2007-2014 MODEL) 5-DOOR. Will be dispatched fully valeted, This is not the usual rubbish found on the floor of a scrap yard. DS4 DS5 C4 (B7). Suitable For Citroen. VOLKSWAGEN PASSAT B6 BODY ESTATE (2005-2010 Model). Nice used retractable parcel shelf from a very clean 2009 VOLKSWAGEN PASSAT ESTATE. Will be dispatched fully valeted, This is not the usual rubbish found on the floor of a scrap yard. S MAX / GALAXY. BLACK IN COLOUR. 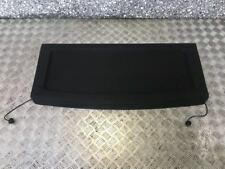 PARCEL SHELF / LOAD COVER SMALL PART. This is a genuine parcel shelf. NOW FOR THE BORING BIT. in good condition. NOTHING MAJOR AND WOULD NOT AFFECT FUTURE USAGE. FORD FIESTA MK7 (2008-2017). 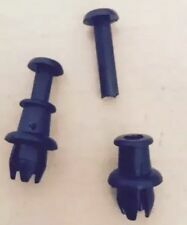 There are a few combination of this parts can be found on your car randomly. QUANTITY :1 Piece. Compatibility list is for reference only. The only way out of it is to check them yourself. RANGE ROVER SPORT 2005-2013. HIGH QUALITY NON GENUINE RANGE ROVER PART. FORD FOCUS Mk2. PARCEL SHELF / LOAD LUGGAGE COVER / BLIND. FITS IN THE BACK AND COVERS THE BOOT.